LADY SHARON GALE is a highly customized 112' Broward superyacht. Indulge in a yacht that offers classic styling, elegant interiors, an energetic crew and gourmet chef at a remarkable rate. 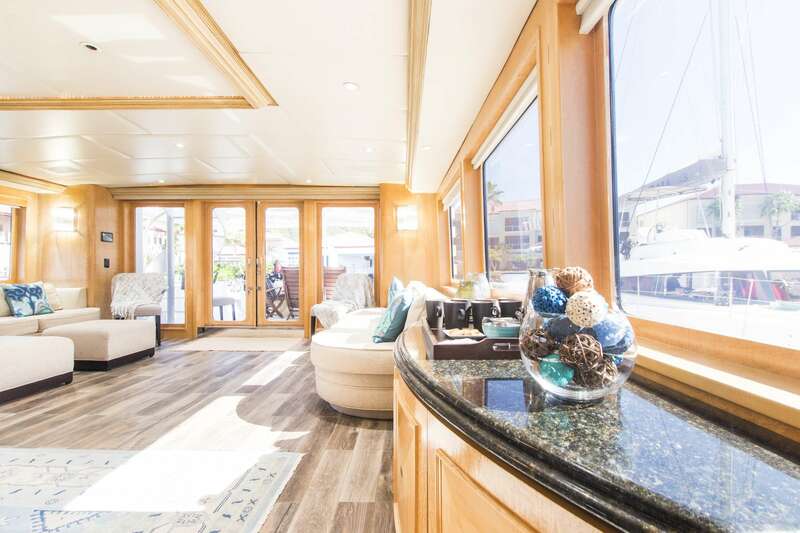 This luxurious charter yacht offers unusually large spaces and lavish features. Imagine relaxing with a signature cocktail and panoramic views from the sundeck Jacuzzi. Enjoy the passing shoreline from the fully-equipped bar, or the roomy table surrounded by plush banquette seating. Interiors are designed to be welcoming, upscale yet informal, stylish and comfortable. The palette of muted earth tones is relaxing. Rich, maple paneling with a soft satin finish is featured throughout. The new furnishings, fabrics and stone are of the highest quality and create an ambience of casual elegance. 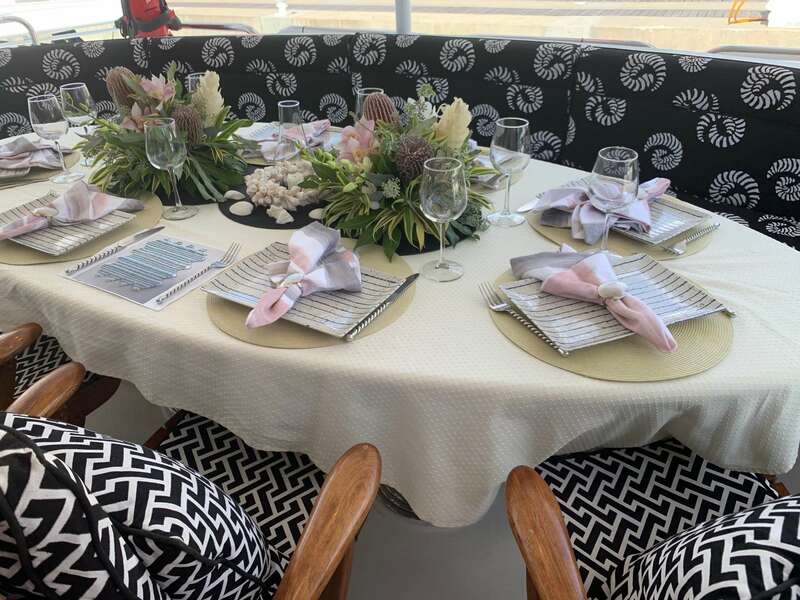 On the main deck, charter families and friends will enjoy canapés and conversation in the newly furnished salon. 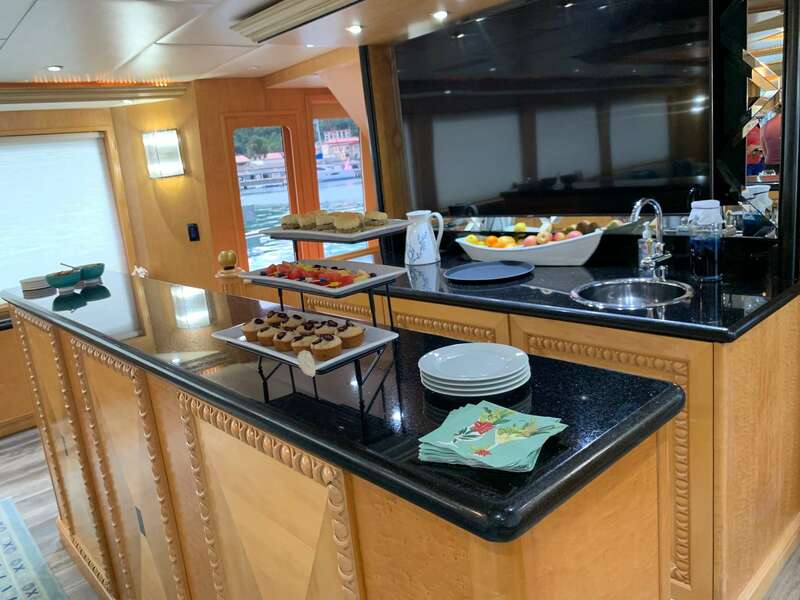 Indulge in a signature cocktail from the bar, or be entertained with music and videos on the yacht’s updated system. 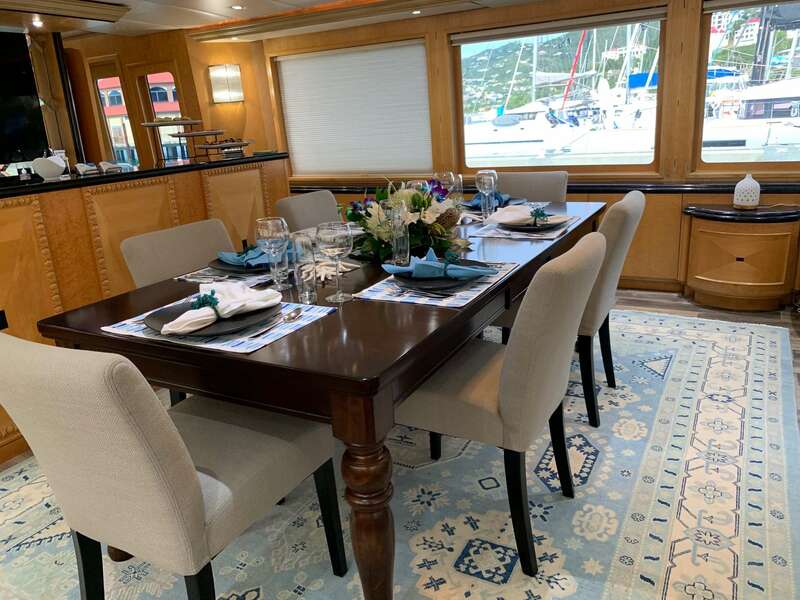 Dine in the formal dining area, or al fresco with sea breezes and stunning views on the aft deck or sundeck. Gather together in the all-new sky lounge with JL Audio sound and LED lighting. Guest accommodations are wonderful for extended families and groups of colleagues and friends. 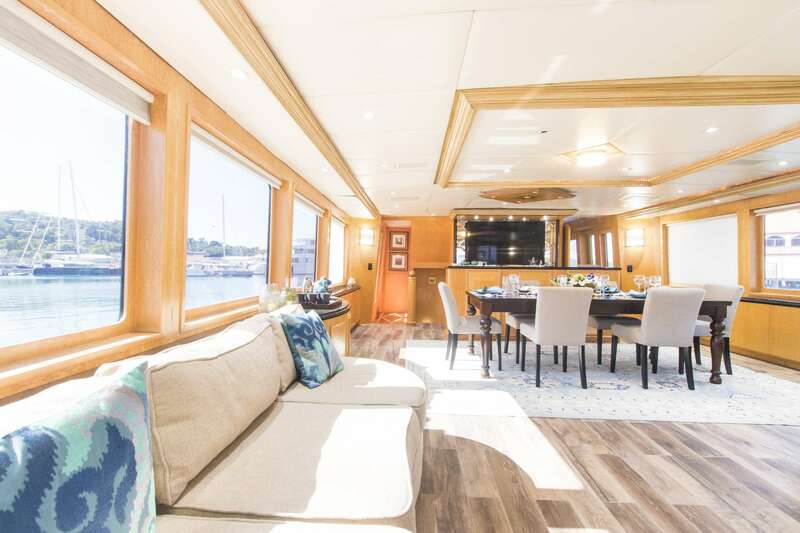 There are four staterooms with six berths positioned on the lower deck level. 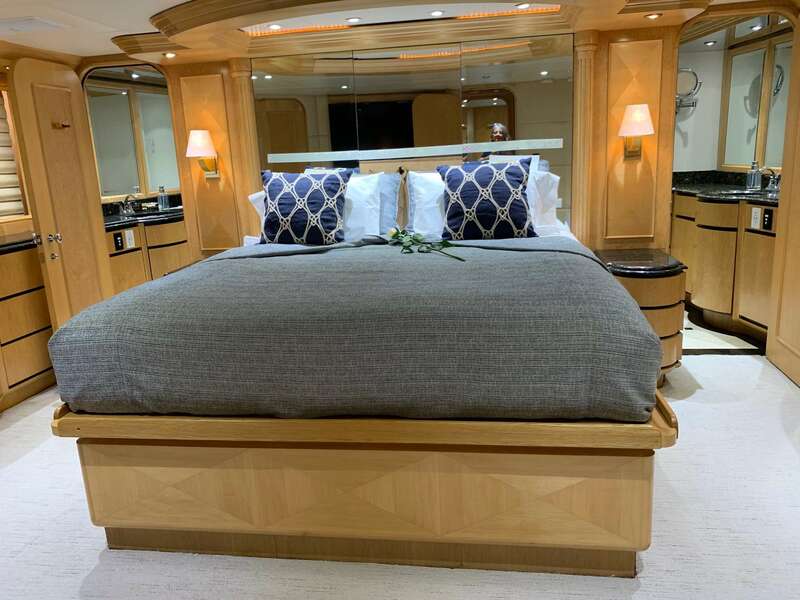 The master stateroom features a king size bed, cedar lined closet and his-and-her facilities. 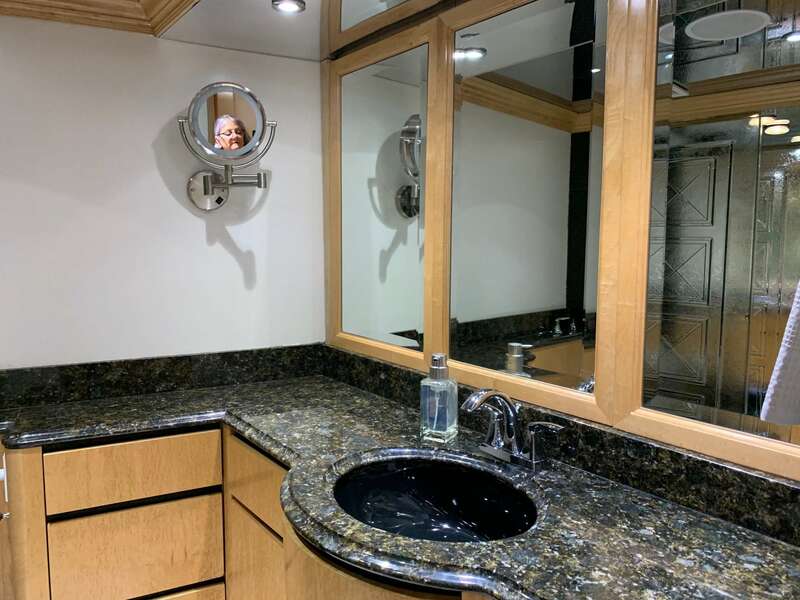 The VIP stateroom occupies the entire bow area and is nearly equal to the master. It features a queen size bed, plenty of storage and sizable bathroom with shower. Two guest staterooms are furnished with one double bed and one twin bed, so extra berths for children, single guests or staff. Staterooms are updated with new bedding, pillows, linens and towels. LADY SHARON GALE is ideal for island hopping. Powered by Detroit Diesel engines of 1800 HP each, she reaches a speedy 18 knots and happily cruises at 12 knots. Pick up the yacht in St Maarten and enjoy excursions to chic St. Barth’s and pristine Anguilla. 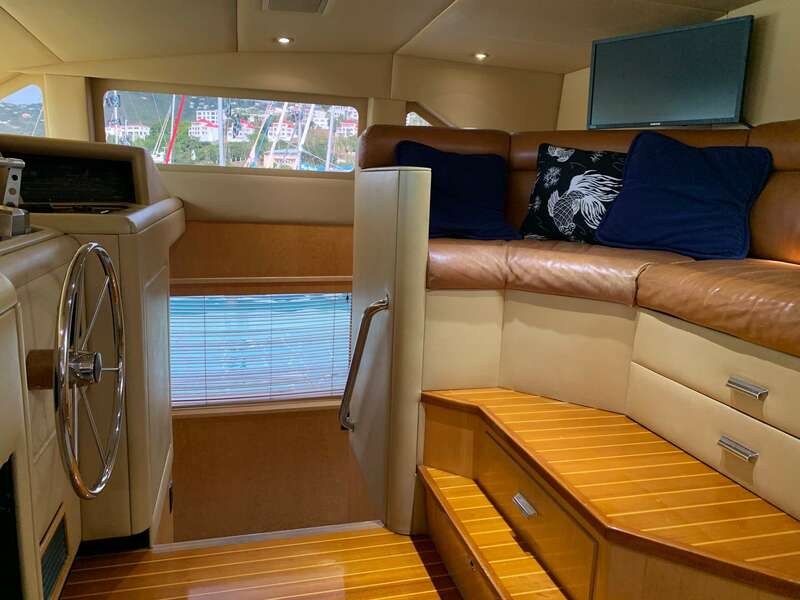 Also available for Virgin Islands charters. A quiet nook for a book.